The Reader’s Choice Awards are over, but why stop there? There’s still lots more to talk about when it comes to the long list of amazing games and anime 2017 has given us! Oscar, Holly, and Mitch look at the good and the not-so-good of the year for the Rice Gaming & Anime Awards 2017! I guess this wouldn’t have been such a big deal if the exact same thing hadn’t happened to me before with Yakuza and Yakuza Kiwami. I had just finished that one off when they finally announced that the remaster would head west. And, in this case, I had just gotten stuck into the meat of Yakuza 2 when they announced Kiwami 2 would even exist. Especially in the west, Yakuza wasn’t treated well for a very long time, so you can’t really blame me not holding out on the western releases in the first place, even more so for the PS2 games in the series. I guess the takeaway here is that these days — you can have faith in Yakuza. 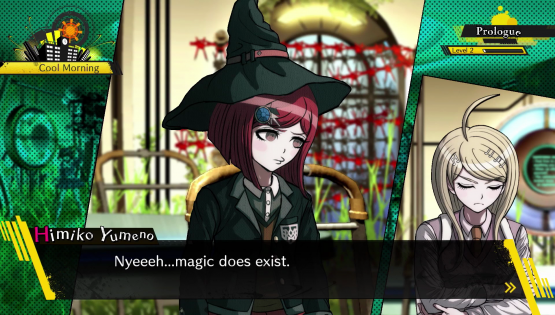 Oh, Danganronpa V3. Why’d you have to go and do that? 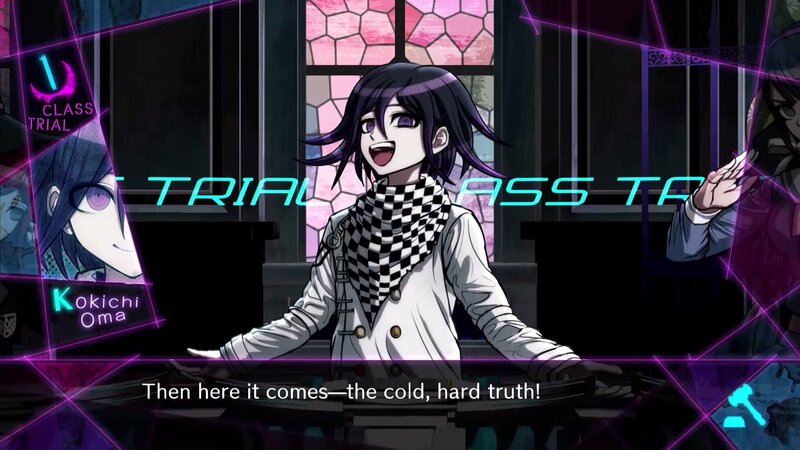 I praised V3 from the very beginning for the emotional impact of making me hate what I had to do more than ever before, as I condemned characters I liked and unveiled truths I didn’t want to accept. However, when it came to the final chapter, it was a bit of a different story. 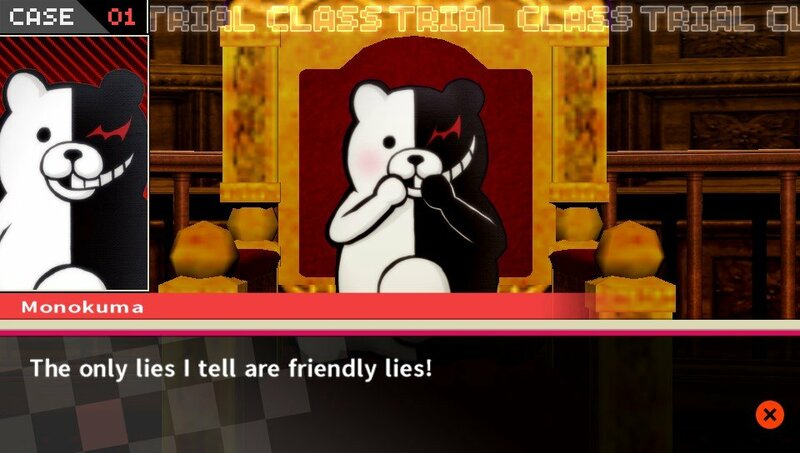 Danganronpa V3 is very much an excellent game, but that final trial was horrible. Not just because I didn’t like where the story was going either, I also found it a bit of a nightmare gameplay-wise, and it went on way too long. Those things are definitely not a good mix. This wound has been re-opened as it seems like Disney is going to buy Fox, giving them the movie rights to X-Men, Deadpool and Fantastic 4, but Marvel vs Capcom: Infinite has already launched. Sure, this means we might see them as DLC, but not having them in the game from launch is blasphemy for the series. The damage inflicted by it is clear, and it’s a shame that if this deal was already in the works that the game wasn’t pushed back. It wouldn’t have hurt its chances, that’s for sure. To an extent it’s not Vampire Idol: Otome Dating Game’s fault that it let me down. Every otome mobile game post-Mystic Messenger is a let-down, which is the same fate that ultimately met even 2016’s Guard Me, Sherlock!. 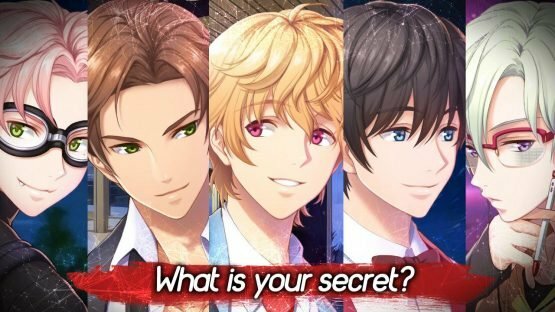 Releasing mid-2016, Mystic Messenger simply rose the bar. But unlike Guard Me, Sherlock!, Vampire Idol is mostly just comically bad, with a litany of weird translation choices that are for the most part immersion breaking. It also fiercely guards even the most moderately romantic scenes behind lots of paywalls. Which is a shame, because a game where the concept revolves around an idol pop group of vampires that feed off of the positive affection of their fans is, frankly, genius. Guess I’m just stuck waiting for all the other mobile otome games to evolve. When Mask of Deception came west promising a blend of visual novel and strategy, I had pretty high hopes for it. Add in the series’ distinctive art and the lure of detailed world building, and it was all shaping up to be an excellent mix. Somehow, none of it worked for me though. Hour upon hour of tedious dialogue didn’t prevent me telling myself things could still turn around for the better, but it sadly wasn’t to be. Maybe Mask of Truth makes everything worthwhile. I don’t know. I don’t even care. I didn’t even have high hopes for this one, but it managed to dash through them like how Mufasa got stomped on in The Lion King. If you think that there’s a game that’s as devoid of passion and creativity in 2017 as Drive Girls, then, well, you’re wrong. There isn’t one. I can’t say that many games have disappointed me in 2017, and Drive Girls may be the only one to cross that particular finish line. 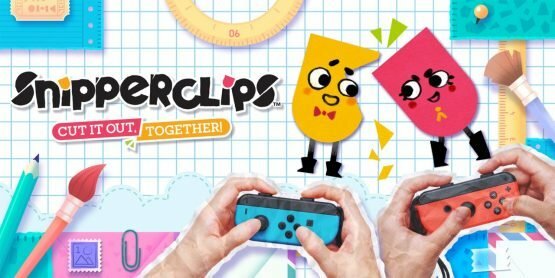 I think Snipperclips has a single player mode. If it does, I have no idea what it even is, because it’s just so much fun to play in co-op multiplayer, that there’s no point looking at anything else. Your two little paper pals can rotate around, and use their shapes to cut shapes out of the other player to solve bite-size puzzles — making shapes, growing plants, and protecting crying little electron things. This was a great one to get out while we traveled to and fro various events, chipping away at it, and only just finishing it recently. But they just more released DLC worlds! The fun never ends! Also, spoilers, every entry in this category is a Switch game! 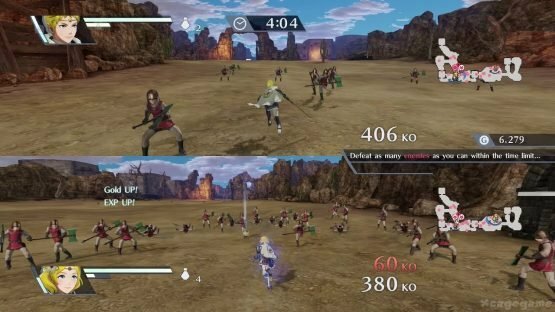 I was very excited to hear Fire Emblem Warriors had couch co-op, especially given the Switch’s controllers make using it for multiplayer a breeze. 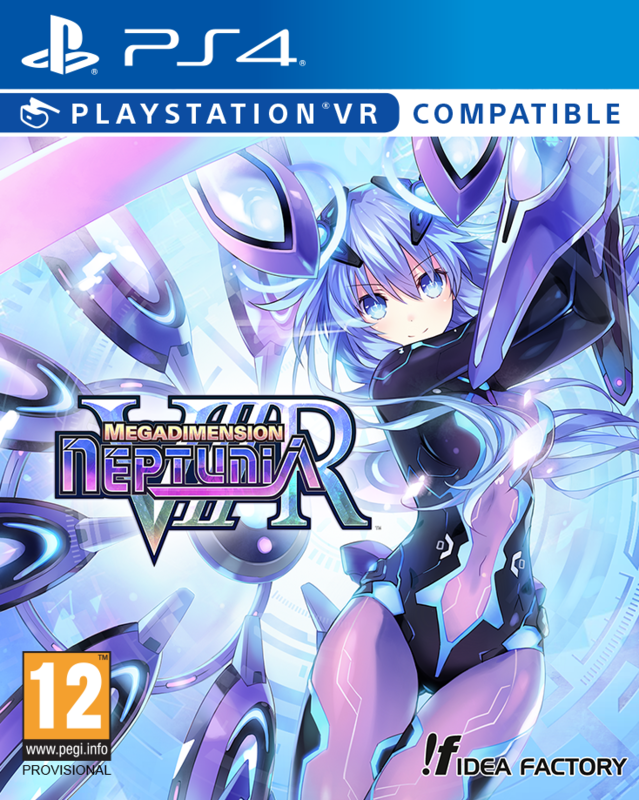 Fun as it is single-player, co-op mode is incredibly entertaining, and simultaneously makes meeting all the different battle objectives easier and adds an extra layer of chaos to every level by reducing your number of playable characters. It’s pretty useful too. Sometimes you just need a second player to bait away overly strong enemies while you get things done. You did well, Player 2. You did well. 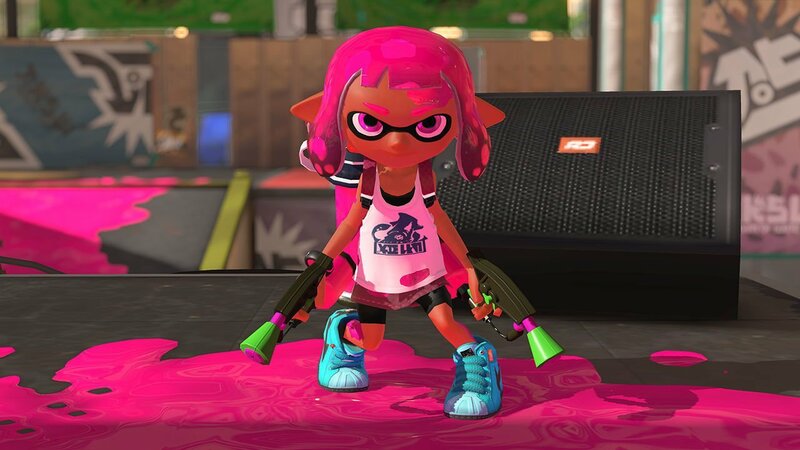 I loved Splatoon back on the Wii U, but the sequel is a delightful improvement. It being on the Switch helps a lot, especially as the game works so well in both docked and undocked modes, but the inclusion of co-op mode Salmon Run and a variety of new and returning maps makes Splatoon 2 a blast to play. It’s easy to get into a game, and its abundance of colour and fun means that I’ll be playing Splatoon 2 throughout 2018 too. It’s a unique game, and one that Nintendo can deservedly be proud of. Splatfests are intense! Despite really loving the first game, I was always really hesitant to jump into the sequel for fear that it wouldn’t love up to the original. And you know what? It doesn’t. It sort of leans too heavily on the first game. But that’s okay, because in its own way Danganronpa 2 is still really good, with its own unique twists, and is a thoroughly engrossing visual novel / detective game that I should have played sooner. 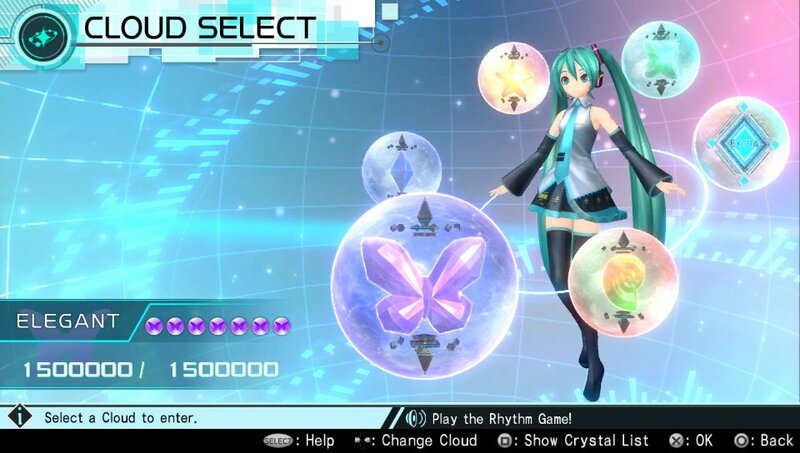 While it may not hold up to the more recent Future Tone, Hatsune Miku: Project Diva X is still worth a look. 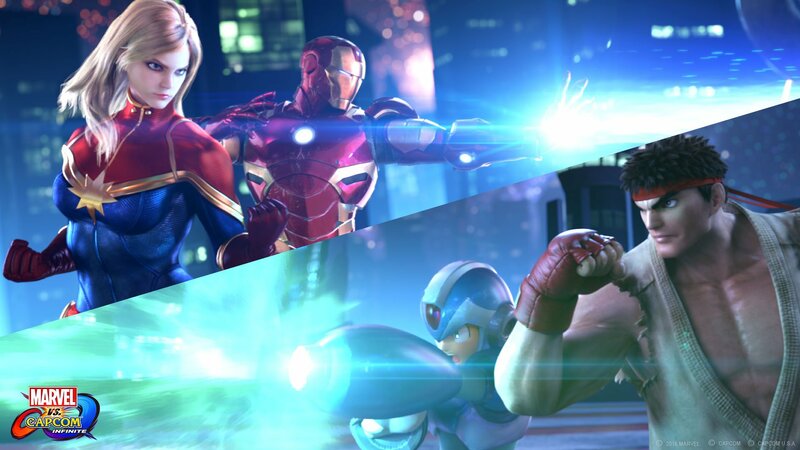 X plays more like F and F 2nd, but also brings plenty of changes, including a story mode. These changes aren’t always for the better, but there are some interesting ideas and it’s all in all still a really enjoyable game. 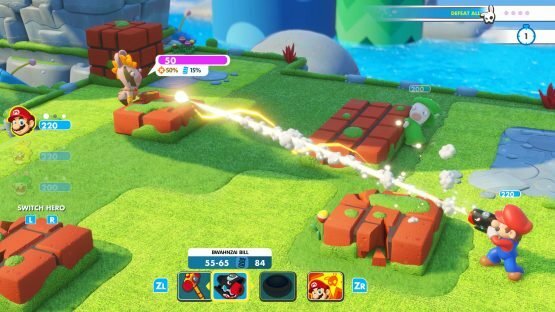 The ability to change stages in Free Play is a nice touch. There are some excellent songs, like “The Lost One’s Weeping”, and nearly all of them are new to Project Diva for the first time in X. Of course, there are lots of pretty new modules to collect too! Ultimately, it would be great to see some of X’s additions brought over to Future Tone in the future, so we can have even more Project Diva goodness in one place though! This is an ongoing title, but it’s one that’s been out for several years and I find myself loving it more each time I log in. 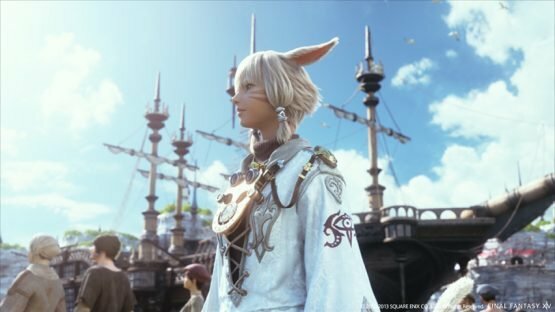 I’ve yet to get to Stormblood and, well, I’ve yet to get to Heavensward but I am getting there! There’s so much to do and despite mostly playing solo, I have a blast each time. The community has generally been lovely and helpful, and I love exploring the world of Eorzea and all that it has to offer. I’m excited to finally tackle the expansions! 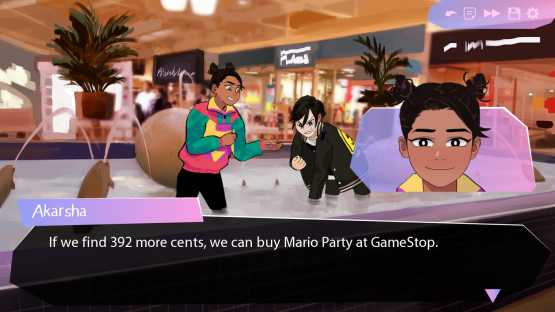 This is a game about teen Asian girls growing up and coming to terms with their sexuality. It’s set in real world California in 2008 (prop 8 plays a role in the story), and centres around them all joining a newly established baseball club at their school, which is coincidentally comprised solely of girls. It kind of kicks into gear when one of the characters who used to live in the area but left for many years ends up coming back. You switch character perspectives throughout the game, so you get a good look at all their lives and some of the difficulties they’re going through, and get a good sense of who they are. Even though they’re going through a difficult period, Butterfly Soup is never an edgy game, but still manages to explore a lot, and is full of ~emotions~ and, yes, ~feelings~. But it’s also steeped in charm and very, very funny. Yeah, there’s a lot of meme humour, but it all ends up meshing really well with the teenage characters. It reads like well-written YA, and there’s truth in all the characters you’ll be able to match up with elements of your own life and the people you know. This was a tough call. Both Collar x Malice and Danganronpa V3 were incredible, but I’m going to have to go with Collar x Malice for not screwing things up at the last moment. Collar x Malice is so wonderful. I had pretty high expectations for it, but it still blew me away, and I just love everything about it. Bring on the fandisc! 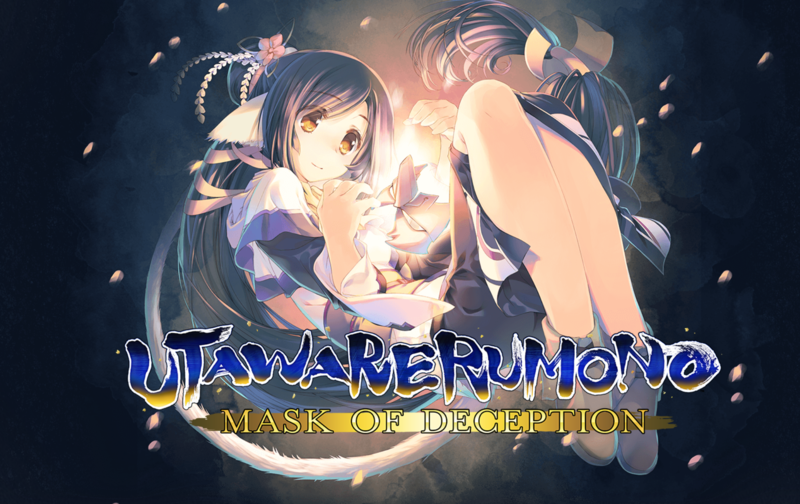 The Utawarerumono games took me by surprise, and both this and Mask of Truth come together to tell one story so, really, my vote is for both. It takes a few hours to get going and feels a bit aimless at first, but it soon gripped me and I found myself sinking hour upon hour into its rich world and great characters. 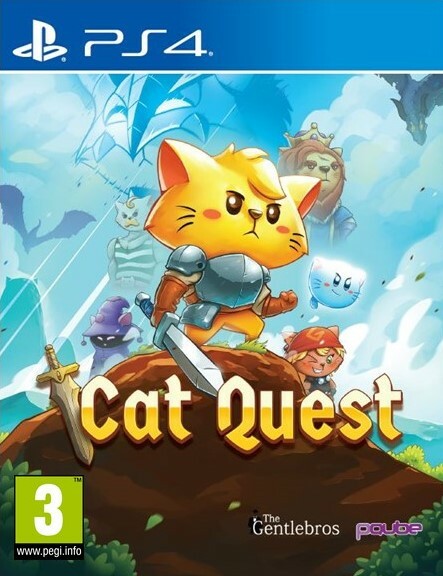 I’m happy that the first game is finally heading to PS4! Like everyone else, I was more than ready to deride the coupling of Nintendo’s Mario series and Ubisoft’s very Minion-esque (though Minion pre-dating) Rabbids characters. Leaks of a crossover came before anyone really knew what it would be: a strategy game. A somewhat bizarre mix. And one that takes after the XCOM series. Which isn’t a series I’m really into. But, I ended up giving it a shot, and it turns out it’s actually really, really fun. It’s incredibly simple to play, and you never feel limited. It feels like you’re always moving your characters around a tonne, sliding into them to do damage, and doing collab attacks and popping off shots with your gun. Not to mention it’s even very generous with the difficulty for people who just want to get through the game — but with tonnes of challenge options too. When I started up Fire Emblem Heroes, it was largely out of curiosity. I’m not much of a mobile gamer, but I wondered how Fire Emblem with tiny maps and 4-person teams was going to work out. It actually works out pretty well! Fire Emblem Heroes came out all the way back in February, and has continued to grow and develop into a really neat little game that is somewhat addictive. I may not pour as much time into it now as I did when it released, but I’m still keeping up to date with what’s going on, and I’m still farming those orbs from time to time. You know, for the future. 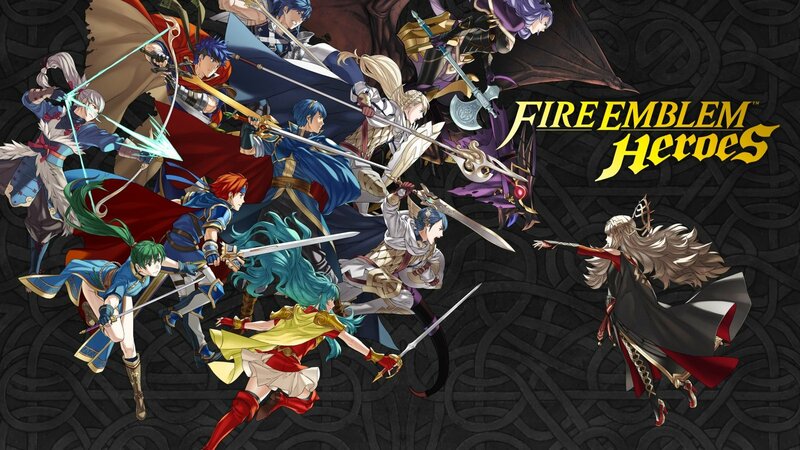 It’s been good, and I’m curious to see the things Fire Emblem Heroes has in store for next year too. Hopefully, one of them is a Radiant Dawn banner. I’ve always liked a good Gust game, but Blue Reflection’s characters and atmosphere really took me by surprise. It’s bittersweet, touching and the gameplay is addicting. I didn’t rest until I had the Platinum in this game, and I’d happily replay it again. 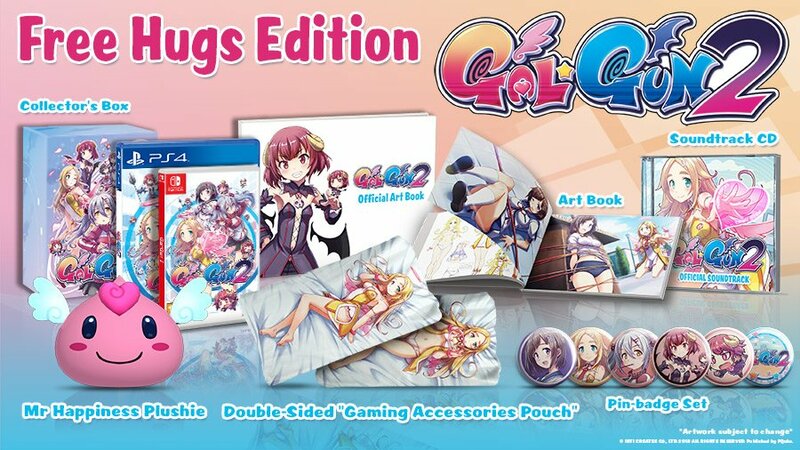 Hopefully Gust decide to pursue this series because I’d love more of it. To be honest I’ll be playing a lot of Switch releases from this year into next year. Nintendo’s main offerings for this year are all super expansive, and with long-term content plans, whether that’s The Legend of Zelda Breath of the Wild, Splatoon 2, Fire Emblem Warriors, or Xenoblade Chronicles 2. 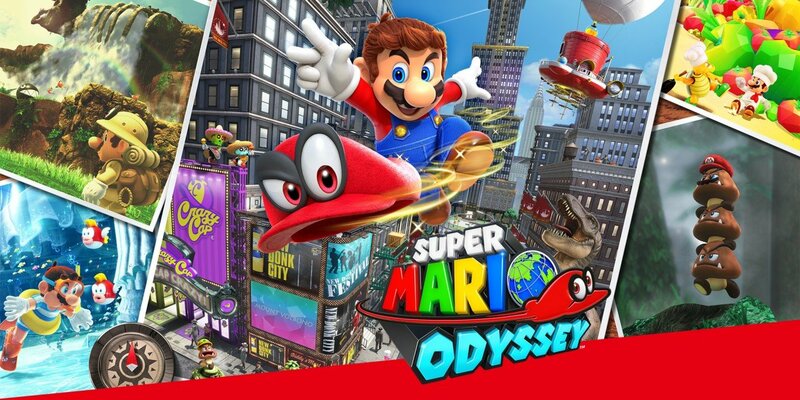 But the one I’ll be spending the most time continining to play, and having the most fun with, is definitely going to be Super Mario Odyssey. With 880 power moons to collect, I’ve only just scratched the surface by beating the game and collecting 500. And those post-game challenges can be very, very hard. Every moon is a joy to collect, though, and I’ve not had this much fun collecting things in a game in such a long time. With plenty of playable characters, History Maps, and costumes coming in the DLC all the way up to March, Fire Emblem Warriors still has a lot to give. It’s already a really good game as it is, so I’m really pleased to have lots of new challenges to take on and more characters to enjoy tearing up battlefields with. I’ll be putting lots more time into Fire Emblem Warriors yet! 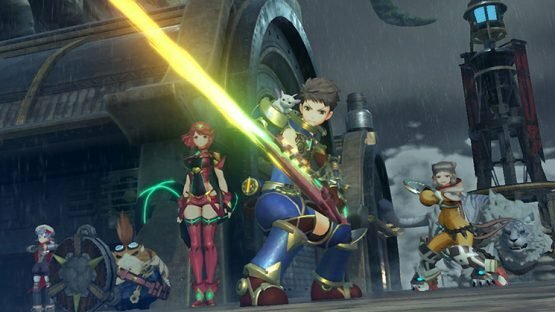 Honestly, I’ve barely played Xenoblade Chronicles 2 this year and I probably won’t until 2018 now. I’ve enjoyed what I’ve played but I’ve been super busy and haven’t had the time to dedicate to such a vast game yet. I’m looking forward to finally sinking my teeth into it soon though, and I know it’ll give me a lot to do next year. 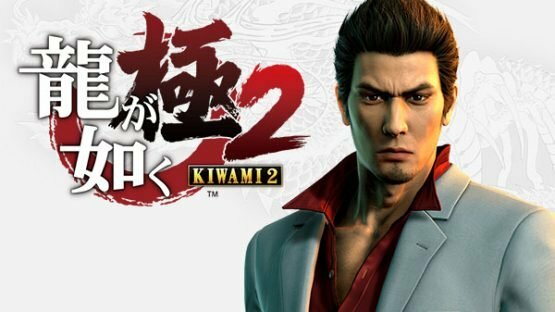 As previously mentioned, I’ve been playing some of the original Yakuza 2 lately, and can confirm it’s a really great follow-up to the first game. I’ll admit, I have some minor concerns about Kiwami 2 using the engine from 6 rather than the updated 0 engine used in the first Kiwami — but it looks like it’ll be a stunning update to the PS2 original, and a whole new Majima story is the icing on the cake. 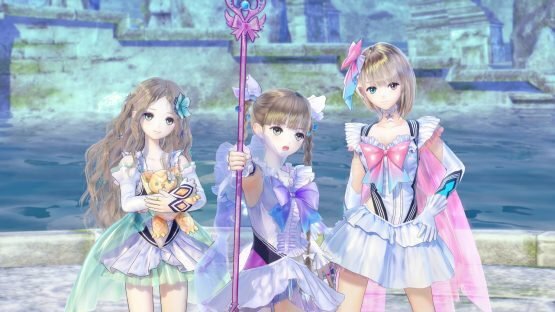 Another rhythm game with loads and loads of songs is certainly good news to me! 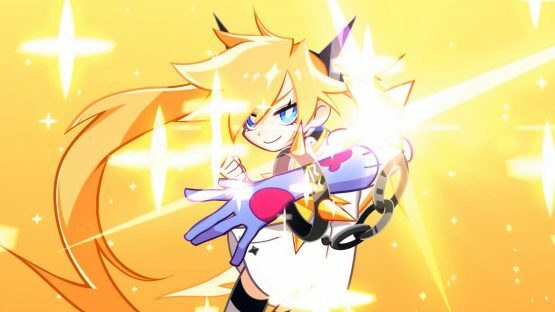 DJMax Respect is sitting pretty at around 150 songs in the base game, with plenty more to come in DLC packs too, and there’s lots of lovely accompanying art as well. There’s no specific release date for it in the west yet, but it’s due out some point next year, and I’ll be definitely keeping an eye on it. Look man, Yakuza Kiwami 2 is the best chance I’m getting at getting more of that wonderful cabaret game from Yakuza Zero, and my hopes aren’t high. That mini-game kept me captivated for like, 20 hours and pulled me away from the main game and you know what? I have no issues with that. It was so damn good. 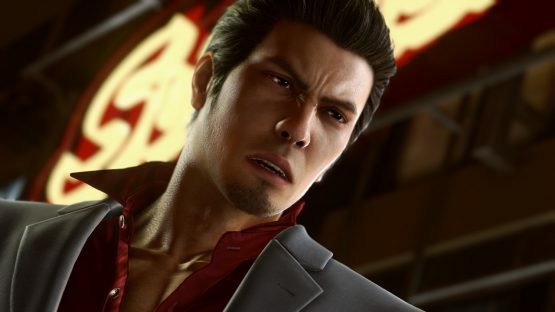 The Yakuza series is a blast to play though and I never played 2, so it’ll be nice to soon be able to say I’ve played every mainline Yakuza game. I went back and forth on this one. I know I gave it my game of the year last year, due to it being a Japanese 2016 release, but I really do have to stand by this one. It’s been an incredible year for Japanese games, but Persona 5 is still a high bar. In a way, for me at least, it’s a game that finally delivers on the promise of the other Persona games perfectly — it’s absolutely a refinement. It has terrific characters, a great and incredibly more-ish story, extremely polished JRPG mechanics, and some of the best designed dungeons in any JRPG I’ve ever played. I could take or leave Mementos, but in a game that is packed with this much charm and with this much love and care put into its development, Persona 5 really is something else. If it were just a matter of time put into a game this year, then I’d have to say Hatsune Miku: Project Diva Future Tone here, but, when it comes to all-out excellence, it’s got to be Fire Emblem Echoes: Shadows of Valentia. 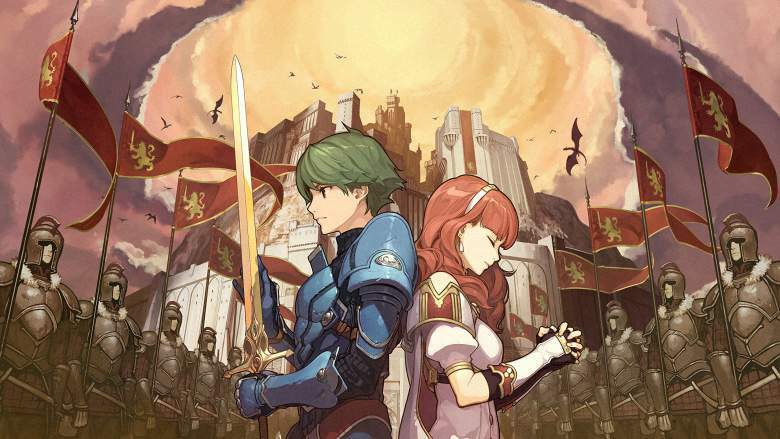 Sure, it has a few quirks that take a little getting used to, but Shadows of Valentia is an absolute masterpiece, and it makes me so, so excited about what might be next for Fire Emblem. I’d be happy to see full voice acting and breathtaking Hidari artwork in the next mainline title too, that’s for sure! 2017 has been an outstanding year for games, but the big one I was looking forward to was Persona 5. Thankfully, it lived up to my lofty expectations (pretty high, considering Persona 4 Golden is up there with Final Fantasy IX as my all-time favourite game) and pulled me right back in for a second playthrough. My first playthrough clocked in at just under 100 hours, and even now I’m yearning to play more of it. 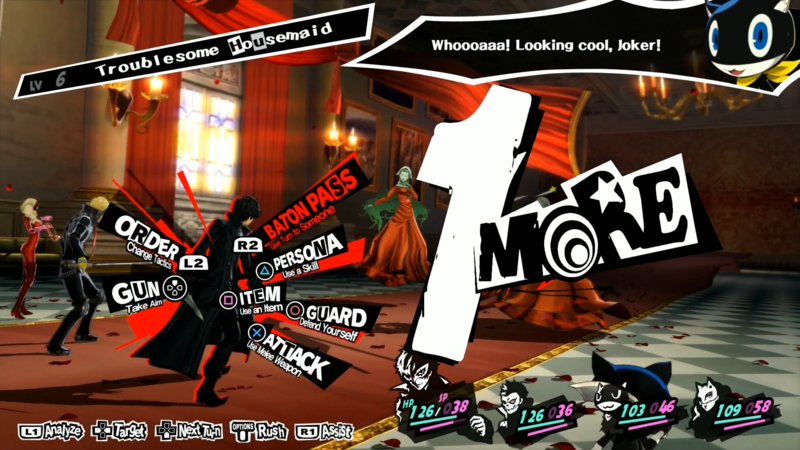 Slick, stylish and oh so engrossing, Persona 5 is an absolute must play. I can’t wait for the anime adaptation too! It’s probably cheating to actually pick 3 games, but I feel like I’m hitting an emotional note, or a publishing beat, in Nintendo & Platinum’s relationship with the Switch with this one. As a series, Bayonetta really has carried the stylish action torch of Devil May Cry to some dizzying heights. It was great that Nintendo funded a sequel in Bayonetta 2, as a Wii U exclusive, but hardly anyone got to play that. And the port of the first game on Wii U was pretty much the best way to play that game (I’ve not touch the PC version, admittedly, but at the time it definitely was). It’s great to see the series get a second chance once again, not to be black-marked by the Wii U’s low install base. 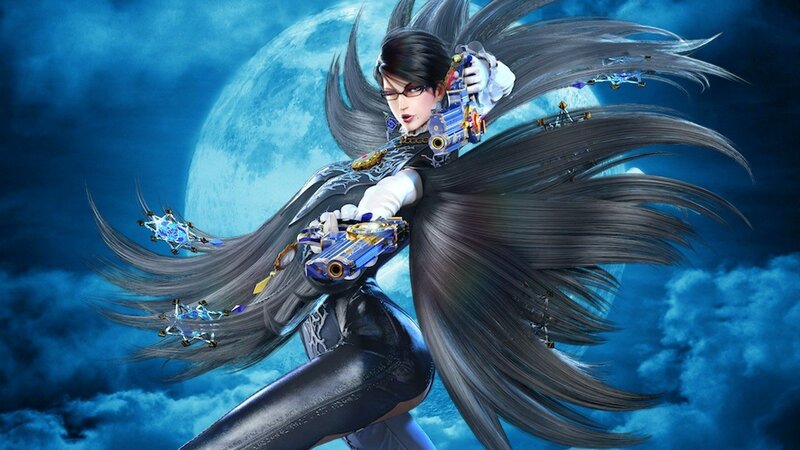 Not only is the announcement of a third Bayonetta game tremendous news for fans of stylish action, but getting (if the Wii U versions are anything to go by) brilliant ports of the first two games on the system so the entire series has a home on Switch is nothing short of amazing. We had some great otome games this year, and I have high hopes for the otome output next year too! 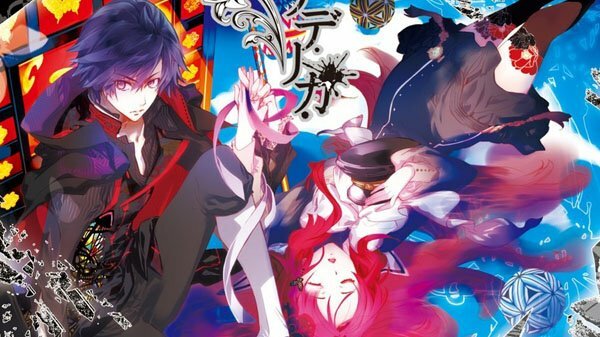 In particular, Psychedelica of the Black Butterfly looks promising, with a dark, mystery vibe to it that definitely has my curiosity. There’s even a shooting mini game. 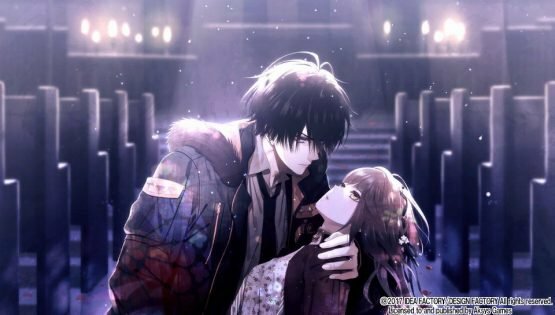 Collar x Malice may have raised my expectations a bit, but if Psychedelica of the Black Butterfly is anywhere near as good as that, then I’ll be pleased. 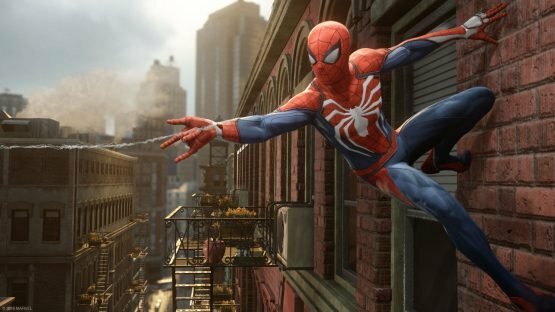 I’m a massive Spider-Man fan, and the trailers have been hitting all the right notes with me. An older Peter Parker who knows the ropes, and the tease of various Spider-Men (and women?) has me excited. It looks as if Insomniac will be telling a personal story with Spider-Man, and I’m looking forward to my favourite hero getting the game that he deserves. 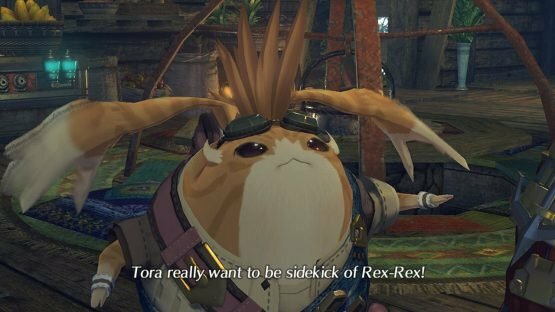 Something about Tora’s English dub voice from Xenoblade Chronicles 2 is just the worst. Maybe the Japanese one is too, I haven’t heard it. The Nopon race’s “grammar” already hurts the ears — dropping almost every other word and constantly referring to themselves in third person. But when it comes to some of the other Nopon characters, or even Poppi, it’s sort of bearable. Tora, on the other hand, takes the cake. Constantly screaming “meh meh meh” in battles punctuated by “spinning cutter” is enough to get him relegated to the bench as soon as another party member becomes available — even though he is a pretty good tank. This one’s easy. 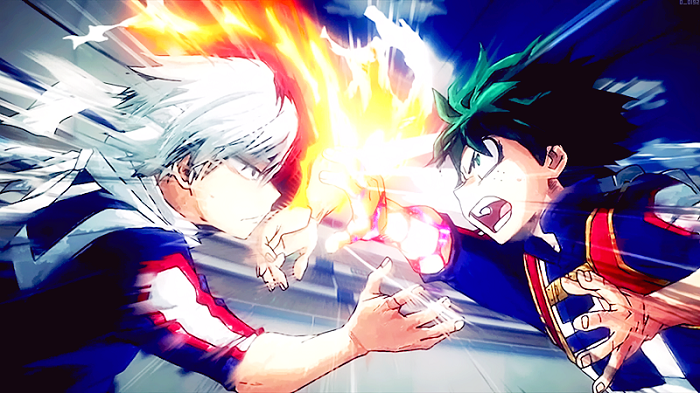 Overly peppy (and loud) shounen protagonists don’t usually bother me. 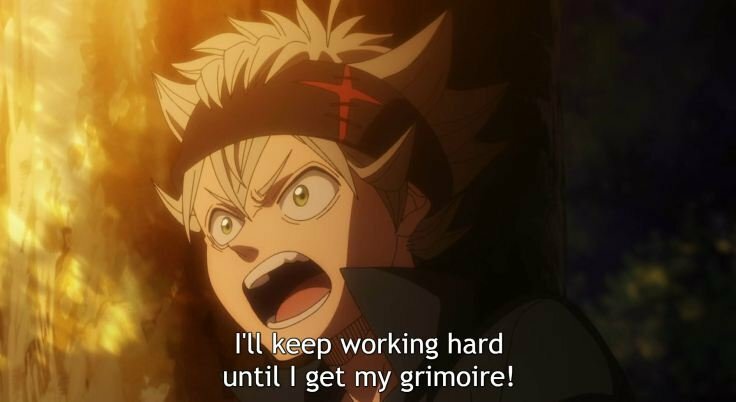 In fact, I tend to find them pretty likeable, but Black Clover’s Asta is just a bit too grating, and it’s pretty much all down to his voice. While Black Clover itself wasn’t anything spectacular from what I watched, it was still one of the few series I was intending to keep up with this season. As it happens, Asta was just too much. His drawn-out yelling the end of every sentence proved just a bit too annoying to conTINUUUUE. It’s kind of a SHAAAAME. Okay, so I wouldn’t say that this voice annoyed me as much as I felt it made the game slow to a crawl whenever Himiko spoke – maybe this is one of her magic powers? I adore Christine Marie Cabanos and she’s done a fantastic job here, and I understand that Himiko is apathetic, but she speaks so much slower than everyone else that I found myself skipping her dialogue often. I need answers, and Himiko rarely helped to push the plot forward anyway. It might be one of the tensest and highest stakes food battles up to this point in the anime version of Shokugeki no Souma, using the main ingredient Jidori Chicken . The cooking school Totsuki’s administration has been effectively usurped, with the end goal being to pretty much stamp out “individuality” and “experimentation” in cooking: changing lessons, shutting down cuisine clubs, and also evicting Sōma’s dorm. This is a battle where Sōma takes on the unscrupulous and cheating Eizan, “The Alchemist”, in order to at least save his dorm, and to begin a show of resistance towards the cooking elites. Despite the high stakes, it turns out that everything in this match pretty much goes as Sōma plans, so there’s not crazy pressure by the time he reveals his plan and the final elements of his dish. His Cheese-Feathered Hanetsuki Gyōza is packed with surprises, and is based around all of the experiences he’s had with his friends at the Polar Star dormitory. It embodies his cooking philosophy perfectly, and showcases everything he and the other protagonists stand for. Even though the judges were bought out, they can’t resist the allure of the gyoza, and award him the win, giving the resistance their first foothold against the oppressive regime. 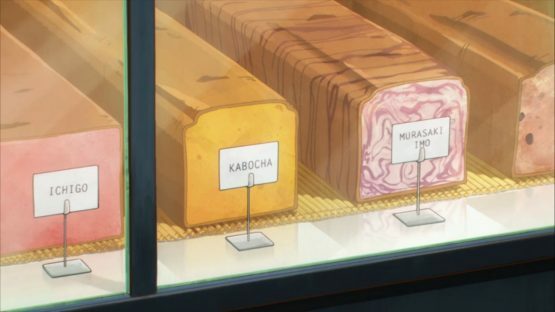 Holly: Flavoured bread from ACCA: 13-Territory Inspection Dept. ACCA: 13-Territory Inspection Dept. 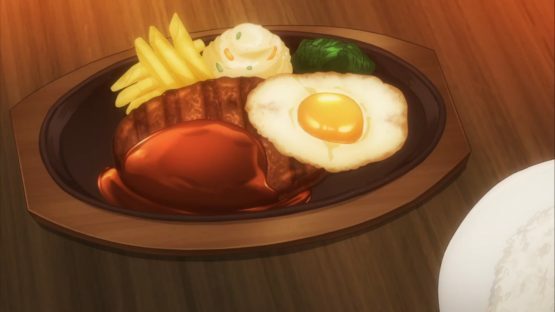 is an odd one, being essentially a series about audits, but if the political intrigue and world-building don’t do it for you, it’s worth a look for the food alone. From the toast Jean has for breakfast to the delicacies of the various districts, ACCA is a veritable goldmine of glorious food shots, and it’s all presented in loving detail. 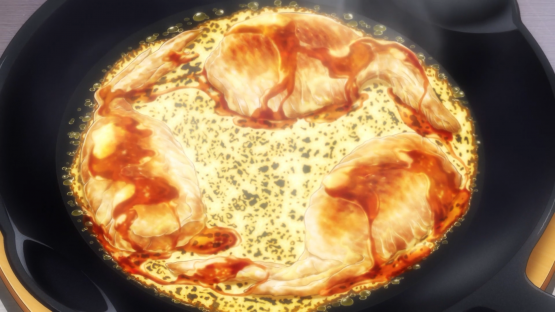 It’s a gorgeous series in general, but the food is definitely a strong point. Even simple things like the flavoured bread look delicious. Everyone in ACCA seems to have a weird fascination with bread and I can kind of see why. It just looks so tasty. 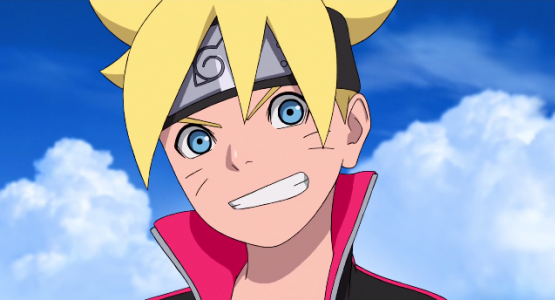 The whole concept of Boruto is essentially “Naruto Kidz”, which was an immediate turn off. But the movie was okay, and the Shonen Jump manga (once it stopped adapting the movie plot) has really begun to surprise and delight me with the stories its telling. But none of this is true for the anime, which is actually basically just Naruto Kidz. Boring plots about being school kids, with boring characters who are mostly just child version of their parents, and boring unearned fights. It’s a total snoozefest that seems almost entirely filler. Hopefully that means it will eventually get around to tackling interesting stories further down the line, like a reverse version of the original Naruto (remember all that pre-Shippuden filler?). But as a monthly manga, that might take some time. I’ve been dropping series ruthlessly this year, and Sagrada Reset was one of the first to go. 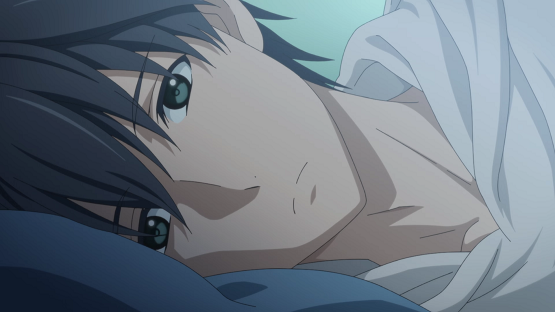 Sagrada Reset had a very interesting concept, but it was so dull. The character designs, the dialogue, and the voice acting were just all so lacklustre. I admit I dropped it after a few episodes, so it may have perked up, but I won’t be going back to give it more of a chance. Most of what I saw was just a few bland characters spouting nonsense that I think was supposed to be deep and philosophical at each other in disinterested, monotone voices. Even the superpowers couldn’t make it exciting. Or even interesting. 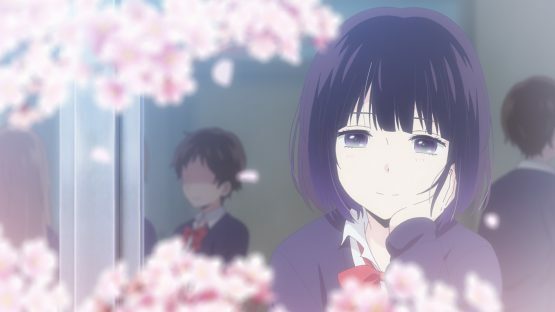 Scum’s Wish sounded interesting, and the concept seemed mature, but my take away was that the characters are immature and impulsive. They’re not likeable and whilst they’re not exactly supposed to be, it’s still hard to connect with the incredibly selfish and destructive characters. Its animation direction was pretty cool, but there was very little I enjoyed in Scum’s Wish. Seeing as I’m not allowed to give it to Pingu in the City, this seemed like a good pick. A great pick, even. 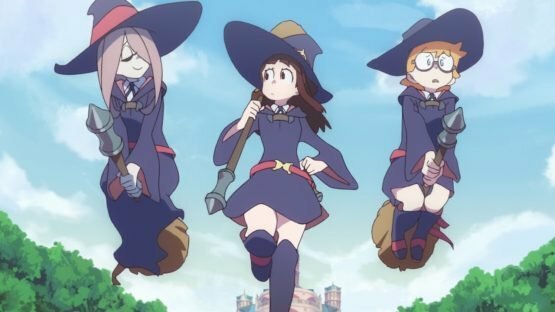 I skipped out on the original Little Witch Academia OVAs because, hey, I’m more of a series kind of guy — but the hype that built around them was enough to make me immediately hop into the LWA series. And it’s very, very good. Set in a school for witches, it definitely has shades of Harry Potter and other “magical teen school” stuff. One important take away is that it’s just so pure, so warm, and so wholesome. It’s simply a lovely story about growing up and following your dreams. But if that’s not enough for you, then, as usual with Studio Trigger, the animation is just fantastic. Every episode has amazing keyframing and is full of expression and cartoon, zany moments that make everything feel super animated. It’s just a joy to watch, a real feast for the peepers. While a lot of the 2017 anime line-up failed to grip me, it provided some gems too. Everything about The Ancient Magus’ Bride truly is magical. Though it hasn’t finished yet, the series is already incredible. I’ve been enjoying all the various ‘case of the week’ type stories, but I’m very eager to learn more about Elias and Chise too! 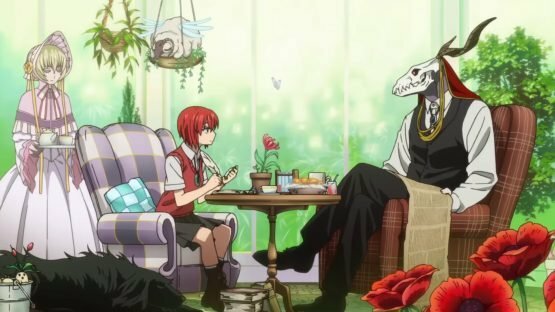 It’s not just the story where The Ancient Magus’ Bride delivers either, as both the soundtrack and the animation are absolutely stunning. Even if you pause it in a completely random place, it always looks gorgeous. How does that happen?! The Ancient Magus’ Bride has been an incredible way to end the year, and I’m super excited for more in the future! I know, I know, this is the exact same pick as last year. But, I’ll admit, I was probably rushing them a little bit. Part 4 of the anime only ended 23rd December last year, and to be fair to them the excellent OVA of Thus Spoke Kishibe Rohan was released September this year. 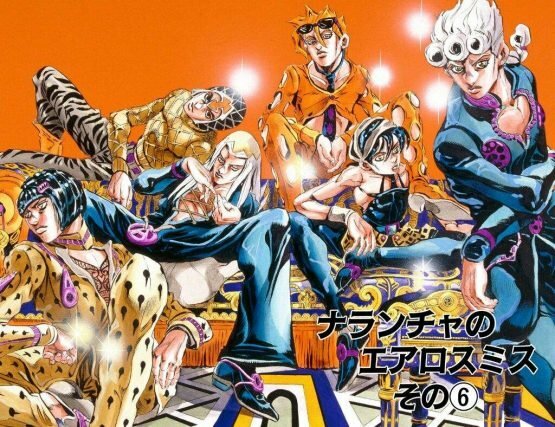 But, surely, surely, surely that means they’ll have time to drop the Vento Aureo anime in 2018? They must have been secretly working on it for a while now. What else are David Production even working on? Monster Hunter Stories: Ride On can’t be that important, can it? So, my pick from last year – Full Metal Panic! Invisible Victory – didn’t release this year after all, but 2018 has some other great things in the line-up too. One of them is the oddly named Banana Fish. 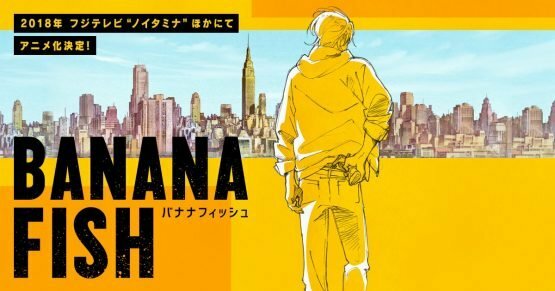 Though the manga originally released in the 80s, Banana Fish hasn’t been adapted to anime before, but it sounds amazing! Gritty mystery action shoujo? Yes, please! The only problem is it’s just down as ‘2018’, so I don’t know quite how long I’ll have to wait! 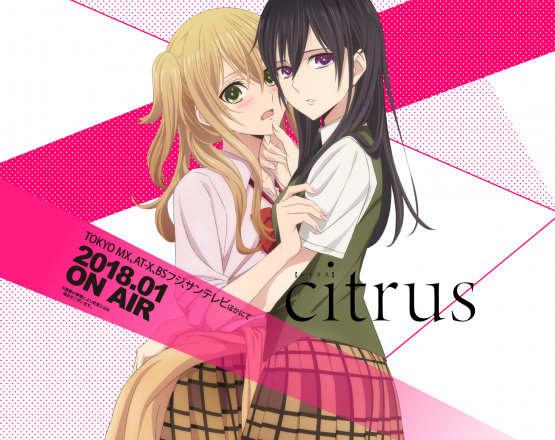 I’ve been a big fan of this on-going yuri manga series for a few years now, and I’ve wanted an anime adaptation since I read the first volume. We’re finally getting it in January, and you can bet I’ll be tuning in! This is one of the only IP that I’ve scoured the internet for in search for information way before an anime was announced, so I’m happy that it’s here within the next month.